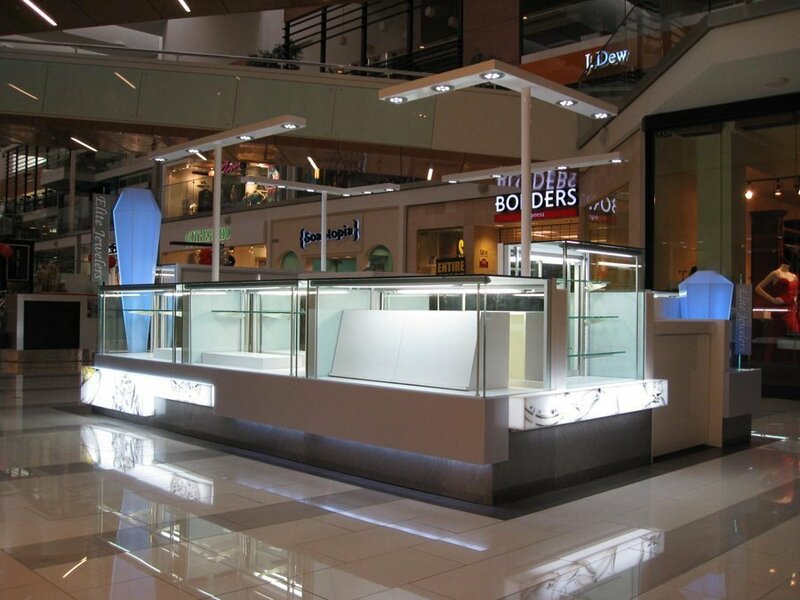 If you have never opened a jewelry kiosk, you will usually worry about success. If you like jewelry, have enough knowledge, have the ability to investigate your own choices, and have the desire to do business yourself, you will undoubtedly succeed. Jewelry kiosk has potentially high profits. If you are a jeweler or are willing to hire skilled workers, choose the ideal location, find a new market, and provide the jewelry you need, there is a reason for success. 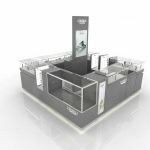 Now I want to introduce a simple jewelry kiosk design for you. The material we use MDF ( Medium Density Fiberboard ) as the basic material. Surface finishing is white baking paint. Other with much tempered-glass and LED strip light. Some shelves inside to display the jewelry. 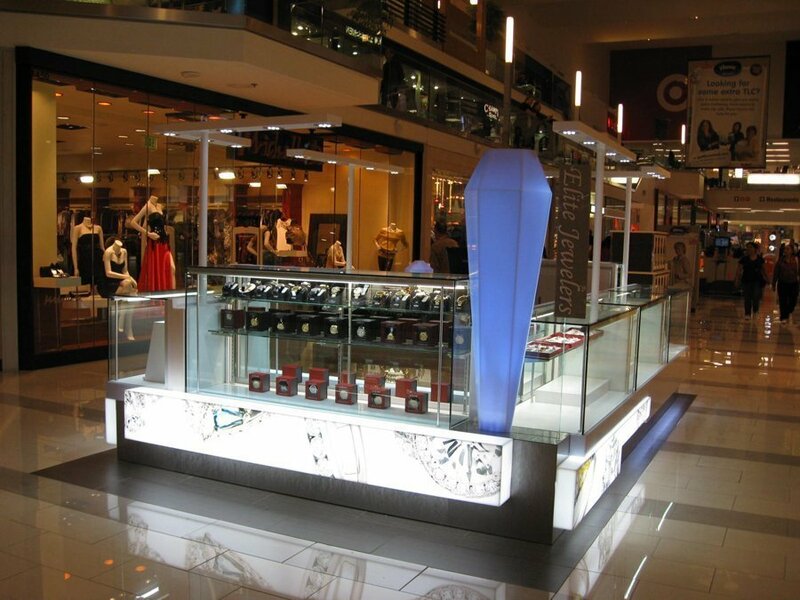 What color and size can be chosen for your jewelry kiosk? We are the customize factory, so any colors and size both ok. The color you can choose from our pantone. 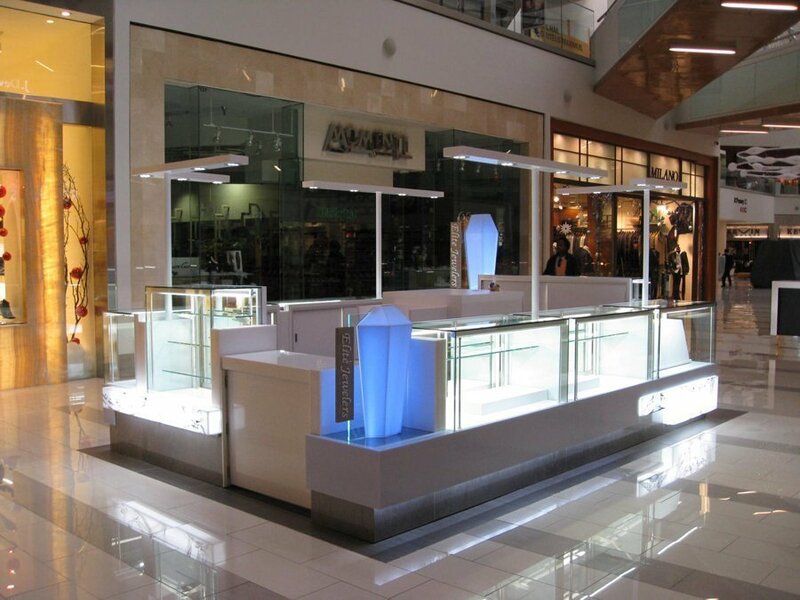 The size of the jewelry kiosk depends on the location you get from the mall. If you have the criteria for the kiosk, please send to us. Some shopping malls like Simon, GGP, Westfield. 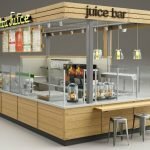 The mall has the requirements, but not worried, we can help you improve the design until you get approved from the mall. Then we can start production. 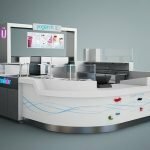 How to order from Unique Furniture for the jewelry kiosk? 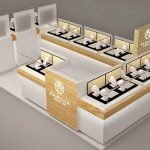 For the jewelry kiosk design, we usually charge a 300USD design deposit. But it will return to you when you order from our factory. So actually it is for free. Welcome to inquiry and let us start the design of jewelry kiosk!!! If you have any questions, please feel free to contact us on Email: sales20@uniquekiosk.com.